Early literacy is an avenue towards success in the future. Each child deserves to develop into a capable and engaged reader as they enter school. 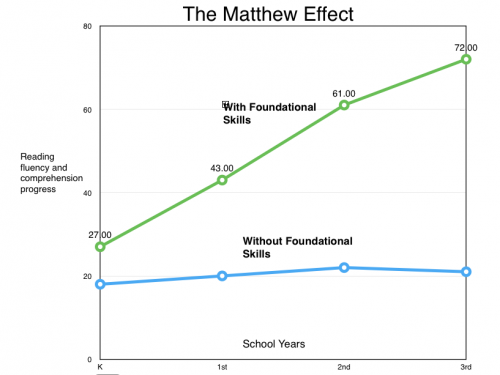 The "Matthew Effects" is a term coined by Keith Stanovich, a psychologist who has done extensive research on reading and language disabilities. 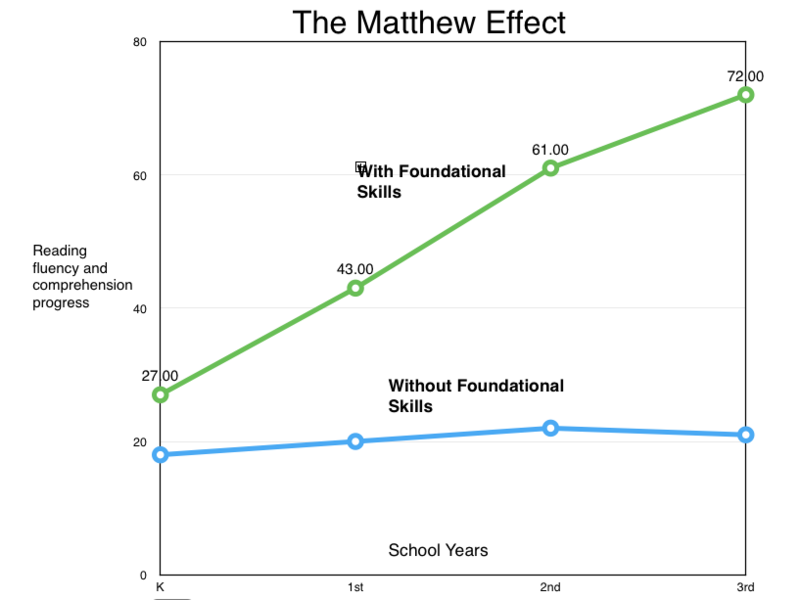 The "Matthew Effects" refers to the idea that in reading (as in other areas of life), the rich get richer and the poor get poorer. When children fail at early reading and writing, they begin to dislike reading. They read less than their classmates who are stronger readers. And when children with disabilities do not receive adequate remediation, they read less â€“ and learn less from reading - than non-disabled children. As a consequence, they do not gain vocabulary, background knowledge, and information about how reading material is structured. In short, the word-rich get richer, while the word-poor get poorer. This is called "The Matthew Effects". Because some IQ subtests measure information learned from reading, poor readers will score lower on these subtests. Over years, the "gap" between poor readers and good readers grows. For children with disabilities in the primary grades, reading and writing failure is pervasive. Nearly all children who are identified as having a disability have reading and writing difficulties.